Established in 2007, Shanghai Siyuan Packaging Machinery is an outstanding producer of packaging equipment. We can provide our customers with a complete range of packaging solutions. Our main products include vertical form fill packaging machinery, flow pack wrappers, premade pouch fill seal machines, filling machinery, weighers, and other auxiliary machines. These packaging machines are designed for use in the packaging of food, cosmetics, pharmaceuticals and many other industries. They can realize granular, powdered, liquid, and solid goods packaging. 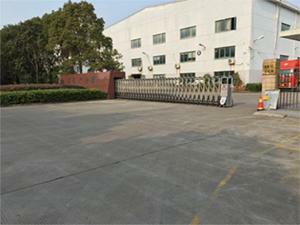 To date, Siyuan has sold hundreds of types of packaging machines. Our core leaders have over 10 years of industry design experience. We will make any necessary adjustments to our packaging main machines and weighing systems to satisfy the varied requirements of customers. Since the establishment of Siyuan over ten years ago, we have been implementing strict quality control processes in order to optimize equipment quality. We also carry out thorough inspections during the selection of suppliers for core accessories, such as motors, air cylinders, pneumatic elements, etc. These components are all purchased from internationally recognized brands. Additionally, the assembly of our packaging machines is accomplished by highly experienced employees. Repeated debugging and inspection will be conducted prior to delivery. Our company also has many years of experience in foreign trade. Our packaging machines have been exported to over 30 countries and regions around the world. We have provided packaging solutions for many customers so we are quite familiar with the packaging requirements of different customers. We know and understand your requirements very well. Certainly, overseas customers will care about the delivery cost besides the cost of packaging machine itself. You can rest easy however, knowing that our company is just 50 kilometers away from the port. This means international delivery methods are affordable and the options are plentiful. The delivery cost of accessories as well as complete machines are minimized. For after-sales services, we provide follow up visits and always collect feedback from customers. Thus, we can deliver spare parts and technical support services to ensure customers will not be seriously hindered by any problems that may arise. If you any additional questions or concerns, feel free to contact us.